We are an organization of friendship, education, networking and support for each other and our students. With the Federation of Texas A&M University Mothers’ Clubs, we seek to support our students through scholarships and donations to campus organizations by participation of our members in fundraising events throughout the year. Mostly we come together to learn the things our kids don’t tell us, have fun and share the joys and tears of parenting through the college years. 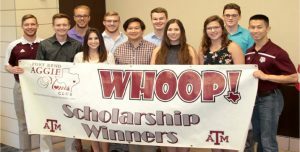 The Fort Bend County Aggie Moms’ Club, an organization of friendship, education, networking and support, recently announced the recipients of the 2018 scholarships and its graduating seniors. The organization seeks to support students through scholarships and donations to campus organizations by participation in fundraising events throughout the year. The moms come together to learn the things their kids don’t tell them, have fun and share the joys and tears of parenting through the college years. The local club exists to give back to the community and its students. 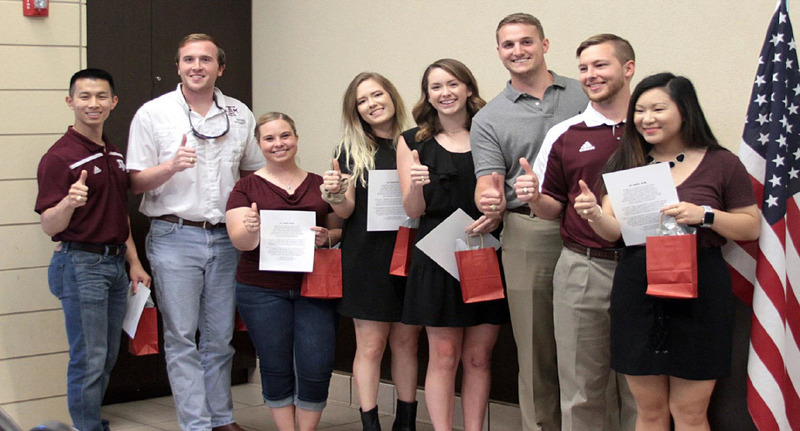 Monthly meetings and activities are held in order to raise money to provide scholarships for Texas A&M University students who apply and qualify. 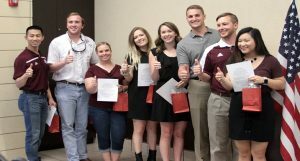 The Fort Bend County Aggie Moms’ Club also honored graduating seniors Jeremy Beaty, Ryan Brown, Brian Buckle, Katherine Cornell, Amy Dodson, Emma Gaas, Maisie Harris, Collin Haun, Jacqueline Hickl, Emily Hughes, Colin Kirchof, Grant Lincecum, Lauren Teresa Holladay, Macey Mulcahy, Zach Ransome, Michael Sallean, Joshua Samuel, Patrick Seiler, Mason Smith, Mallory Smith, Kaitlyn Trei, Allison Voehringer, Michael Wang, Megan Whitworth and Jennifer Wu to congratulate them on all of their success and wish them continued good luck. If you have a student at Texas A&M University, including the College Station, Galveston and Blinn Team, and are interested in joining, visit FortBendMoms.AggieNetwork.com for more information.